Facebook and Twitter have allowed users to schedule posts for years, however, Instagram has famously held out. The result was clunky workarounds, such as tools that sent push notification reminders. In January of 2018, Instagram finally announced the release of an API that allowed the ability to schedule posts. Instagram users around the world rejoiced. However, many of the most popular social media scheduling tools either aren’t compatible with Instagram or are awkward to use. Buffer and Hootsuite, for example, only support direct posting for single images. Videos and multi-image posts require using their mobile notification process. Who wants to go back to clunky workarounds? Fortunately, there are several Instagram planners that were developed specifically for Instagram. Below, we break down the features, pricing, benefits, and potential drawbacks of the best Instagram planners on the market so you can choose the right one for your needs. 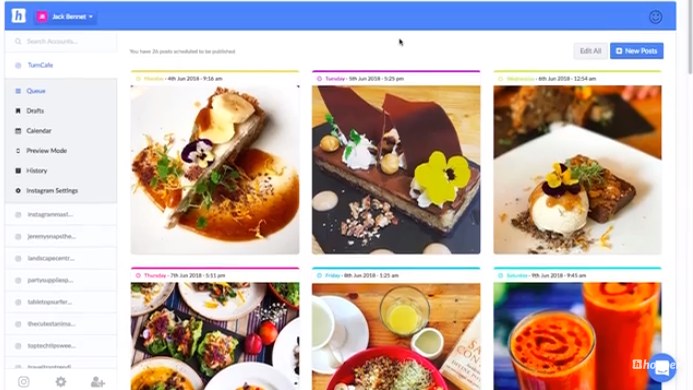 Preview is a surprisingly robust solution as far as Instagram planners go, allowing you to schedule, design, edit, and analyze your Instagram business account all in one place. This is one of the more simple planners, but it offers everything you need at a reasonable price point. When Instagram is an integral part of your business, you need to know what is working and what isn’t. Preview delivers with a full suite of analytics tools. Preview is feature-rich, offering the ability to drag and drop your posts to create a perfect feed and the ability to upload videos and albums, which tools like Buffer and Hootsuite don’t. Plus, Preview’s blog is a great place to learn about Instagram best practices. Pricing: Preview has three price plans from free up to $14.99 per month, each with varying levels of features. The free plan comes with unlimited posts, two filter packages, and basic analytics. The higher packages offer unlimited users, the ability to re-post, additional analytics, more filter packages, hashtag analytics, and more. You can also add features a la carte, which means you only pay for the features you need. Drawbacks: Preview is only available in app form, which may be a drawback if you like to work on your desktop. It also doesn’t appear to support Instagram Stories. Great for: Power users, particularly those in the creative field, who need the ability to do all the things on Instagram. But, the free plan makes it great for those just getting started who might want to scale later. Because many popular social media planning apps were not built specifically with the unique features of Instagram in mind, they don’t offer important features like the ability to edit, upload, and schedule Instagram stories. PlannThat does! There are also plenty of other features to love. Pricing: PlannThat offers four different plans, from free to an unlimited plan that is just $12 a month. 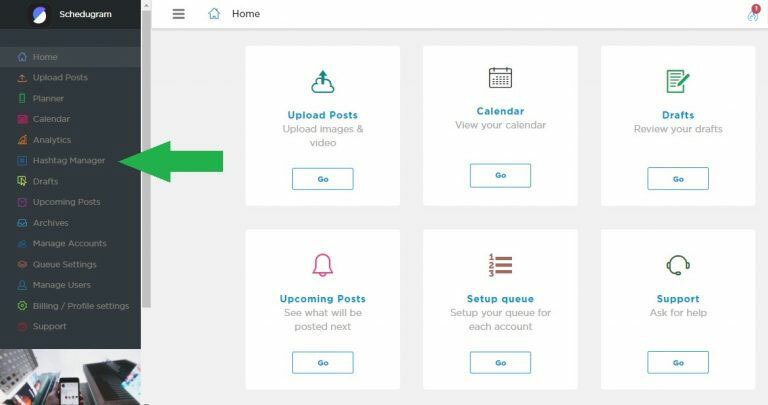 Features vary by plan, but the free version offers up to 30 uploads a month, the ability to upload videos, editing tools, and repost tools. Compared to other tools, it is seriously affordable. Drawbacks: PlannThat don’t currently offer a desktop version, but it’s coming soon! Several of its competitors at similar price points do not offer desktop versions, so this will be a stand out feature when it is released. Great for: Medium-sized or fast-growing teams that need a lot of features but don’t want to pay an arm and a leg. At $12 a month, their Unlimited package is a steal. Some Instagram planners offer tons of features, but their interface makes those features hard to use. Later offers plenty of features and makes them super simple to use. If you are looking to drive sales from your Instagram account, Later is a fantastic choice. Pricing: For access to better support, the ability to schedule videos or multi-image posts, and a host of other snazzy features, you will need to upgrade to a paid account, starting at just $9 per month. Later also offers custom pricing for brands (like marketing firms) who manage more than five accounts per platform. For additional profiles, you will pay $5 each on top of the Brand plan price of $49. Drawbacks: Later does not currently offer any features for Instagram Stories, which tend to get a ton of engagement. Their top-tier plan is pricey, but it is aimed at large brands or marketing firms. Great for: Brands who want to manage all of their social media in one place without sacrificing Instagram-specific features. Also a great choice for marketing firms who manage multiple clients. A major drawback of most Instagram planners is they only allow you to schedule for Instagram, which is fine if that’s your focus. 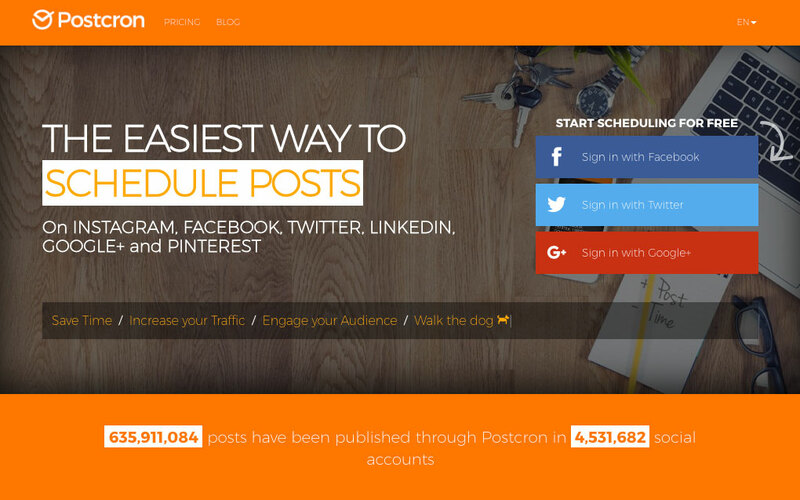 But with Postcron, you don’t have to trade all the Instagram-specific features for the ability to manage all your social media accounts. 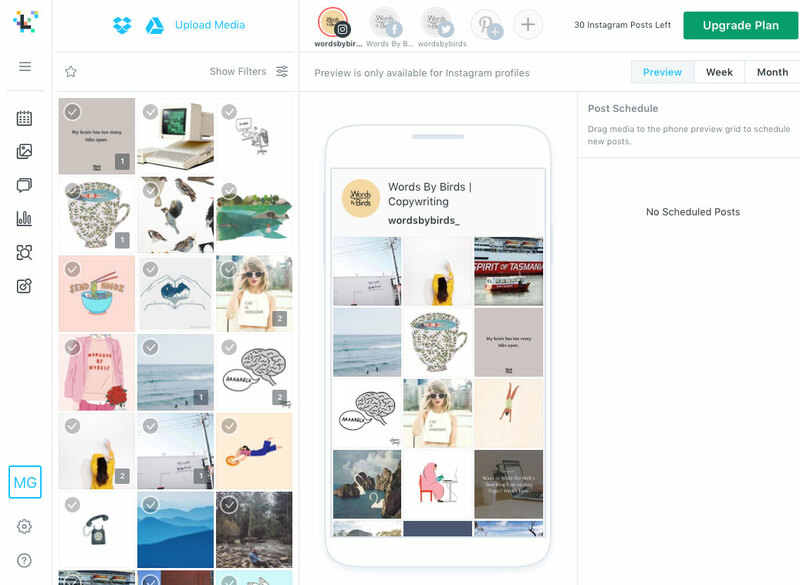 Overall, you can expect to trade some Instagram functionality for the ability to manage all your social media posts in one place. However, Postcron doesn’t make you sacrifice the most critical features, so it is a good balance. Pricing: Postcron does not offer a free plan, as many other Instagram planners do, but it does offer two months free so you can try it out before dropping a boatload of money. It offers four tiers, starting at $12 a month for the Personal plan and going all the way up to a whopping $169 per month for their Enterprise plan. The Personal plan allows you to schedule 100 posts over eight total accounts (though you are limited to 2 Instagram accounts), access to their content gallery, and ability to upload in bulk. A major drawback is you don’t get access to analytics on the lowest plan. 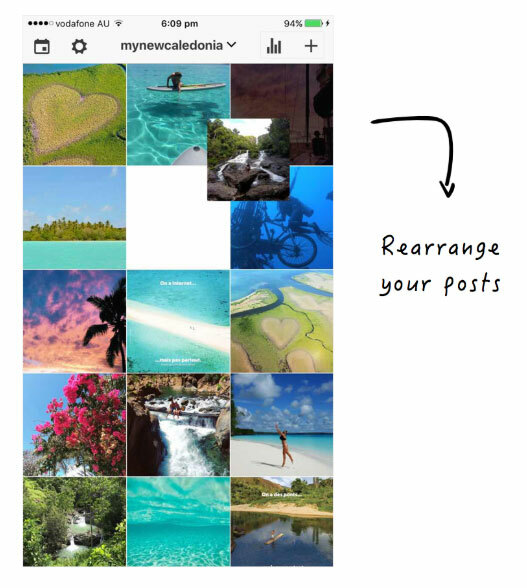 Drawbacks: Postcron doesn’t offer some of the more niche Instagram-specific tools, such as the ability to repost USG (User-generated Content) content, the ability to tag users and locations, or tools for Instagram Shoppable posts. For access to analytics and their team tools, you will have to sign up for at minimum their second-tier plan, which starts at $24 a month. Great for: Medium-level Instagram users who want to drive engagement on Instagram but don’t need access to every last Instagram feature. It is a fantastic choice for big brands that have large social media presence across multiple platforms but still want access to Instagram-specific tools. If you are all-in on Instagram, you will want to take a look at Schedugram. 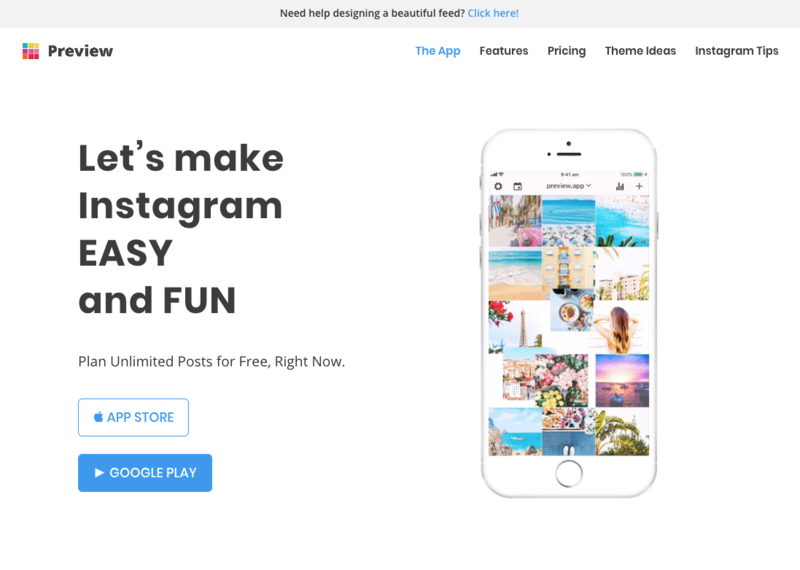 Created specifically with Instagram in mind, this tool offers tons of nifty features that are designed to take your Instagram game to the next level. Pricing: Unlike other Instagram planners, Schedugram does not offer tiered-feature plans. Pricing starts at $20 a month for one full-featured account with less than 10K followers. Prices go up based on followers and the number of accounts you manage. Schedugram will automatically adjust your bill as you add or remove accounts from your plan. Very low hassle, which is awesome. There’s also a free 7-day trial. 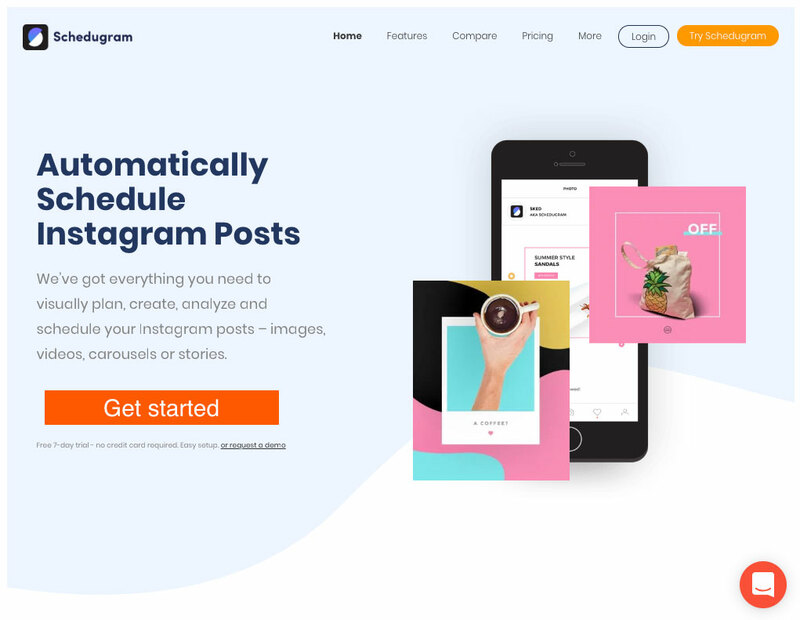 Drawbacks: One of the major benefits of Schedugram is that is was designed specifically for Instagram, however, that also means it doesn’t support scheduling for other platforms like Facebook or Pinterest. Also, with a starting price of $20 per month, it is one of the pricier Instagram planners on the market. Great for: Brands and influencers who have major skin in the Instagram game. This isn’t a beginner’s tool, but a powerful planner for those who want to get the most out of Instagram. 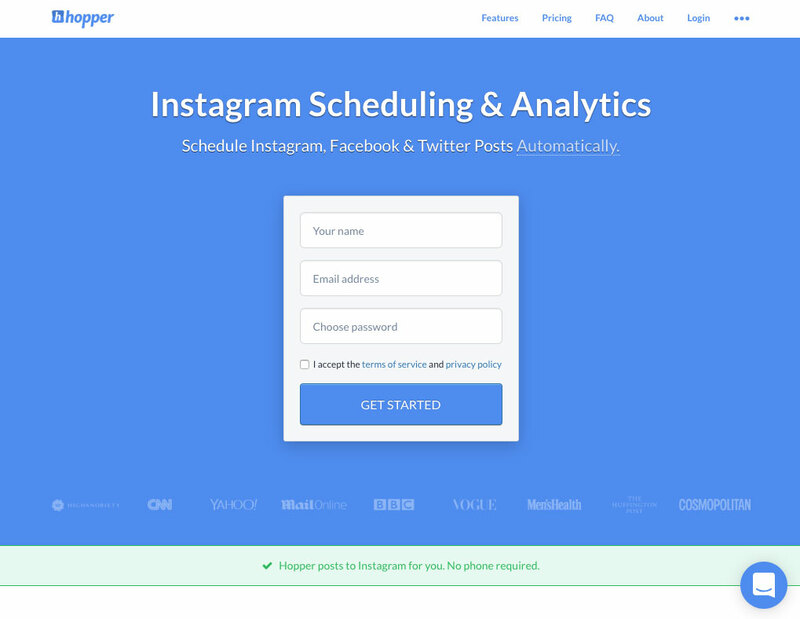 If you are looking for Instagram planners that also let you post to Facebook and Twitter, HopperHQ is worth a look. It offers plenty of features in an easy to navigate dashboard. It also does a great job of balancing the specific needs of Instagram with the ability to post to other platforms. 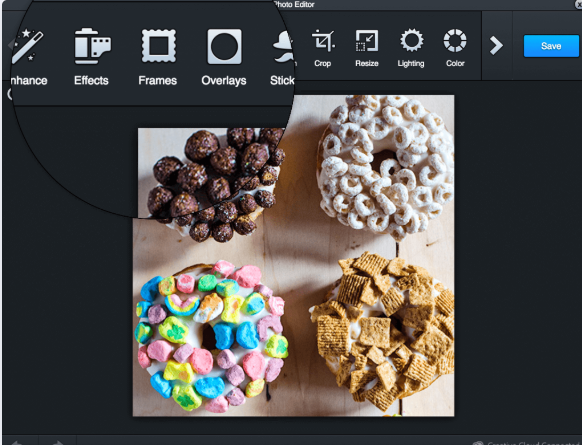 The editing tool is quite robust, with the standard features like the ability to add text and apply filters, but you can also add frames, adjust colors, enhance, and more. 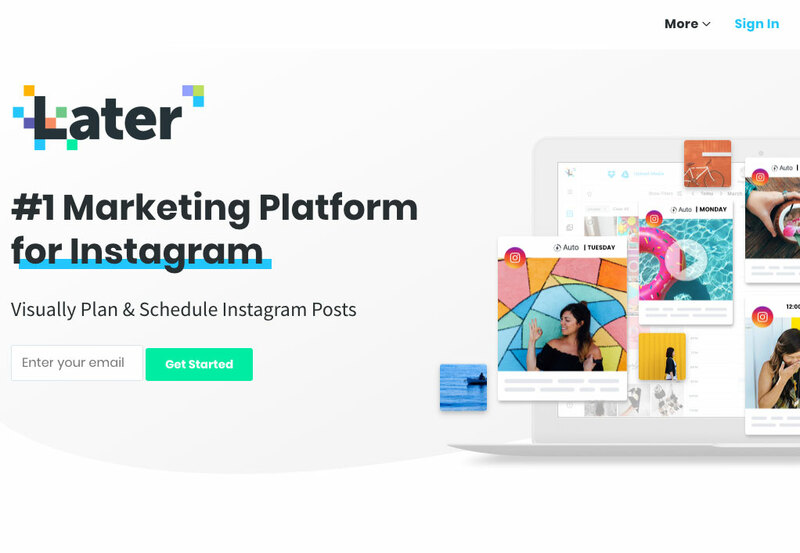 If you are looking for Instagram planners that are feature-rich, Hopper is where it’s at. It offers many of the same features as other planners and much more. Pricing: HopperHQ plans start at $19 for a bundle that includes one Instagram, Facebook, and Twitter account. You will pay an additional $20 per bundle up to five, after which the price per bundle drops to $15 each. There is also a free two-week trial available. Drawbacks: HopperHq is a powerful tool, but it doesn’t use the Instagram API, relying instead on cloud-based Android phones. The company does say it is operating within Instagram’s terms of service, but it is a bit odd. Great for: Brands with multiple accounts, or small to medium-sized marketing teams who want to be able to post to Facebook, Twitter, and Instagram from one easy-to-use dashboard. If you have been considering leveling up your Instagram game, the timing couldn’t be better. Instagram is growing fast, with over 1 billion monthly active users as of early 2018. The platform also continues to add new features, such as the new IGTV and shoppable posts. It’s clear that Instagram is more relevant now than ever for your social media marketing strategy. 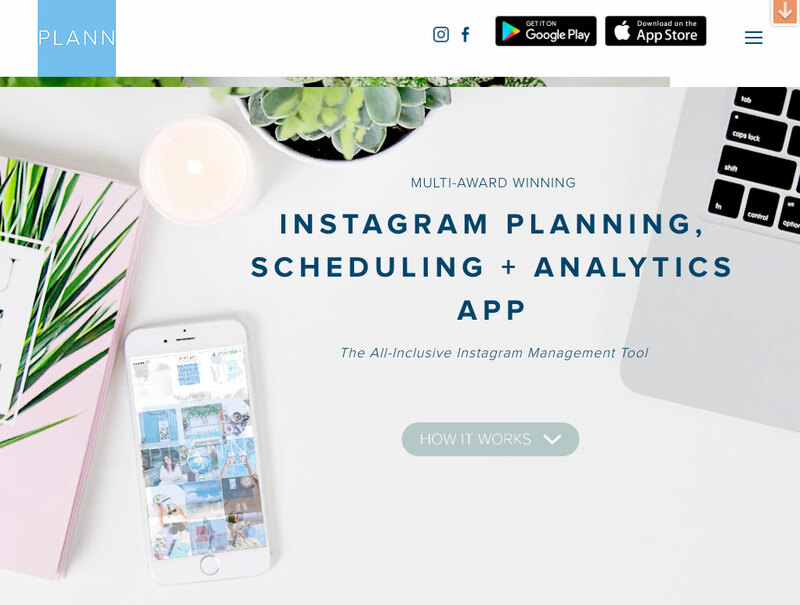 A full-featured Instagram planner will let you focus on your followers while still driving engagement and sales on one of the fastest growing social media platforms. I’d encourage you to check out each of the solutions above, test their features so you can find the right planner for you, and don’t forget to dig into your analytics afterwards. The post 6 of the Best Instagram Planners for Automating Your Instagram Marketing appeared first on Revive Social.